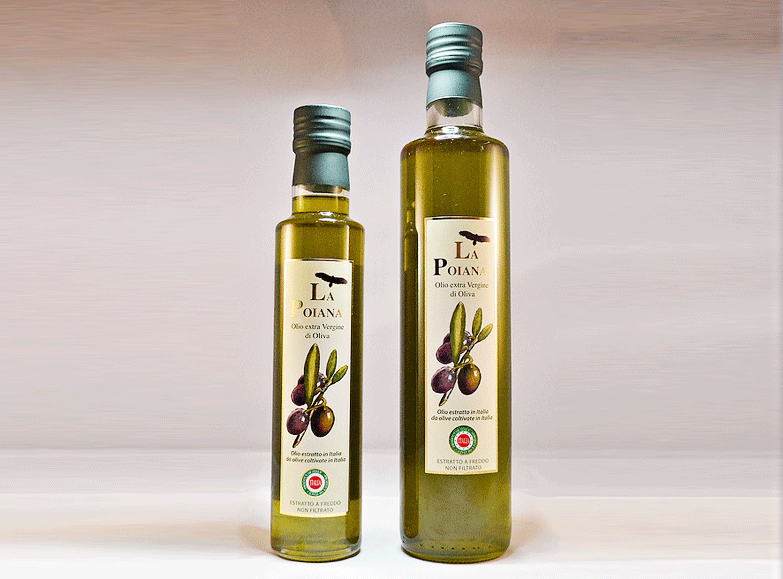 Our organic Extra Virgin Olive oil is the result of our commitment, passion, and dedication. Each stage of its processing is a very important moment: we collect our olives at the end of october, when they reach the proper maturation. After selection, the olives are trasported to the oil mill Frantoio Pistelli for the milling done by cold pressing. 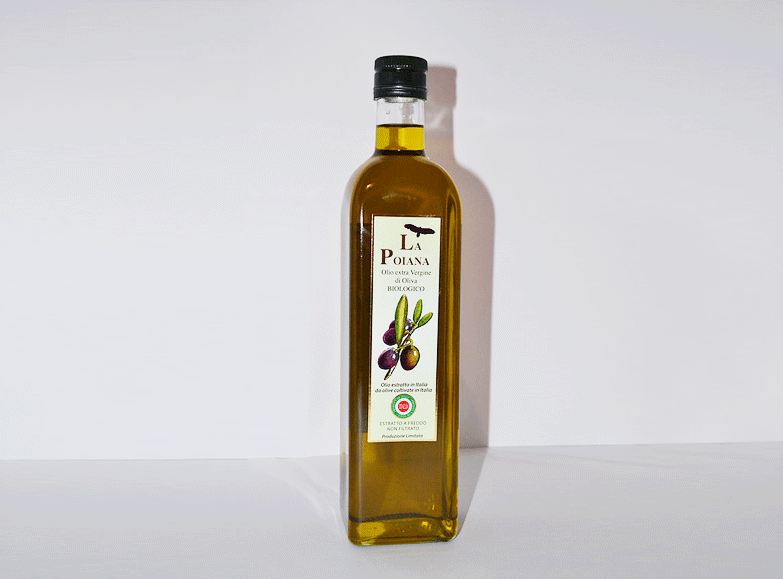 In every stage of processing, the olives are washed, separated from twigs and leaves, centrifugated and squeezed to the oil mill. 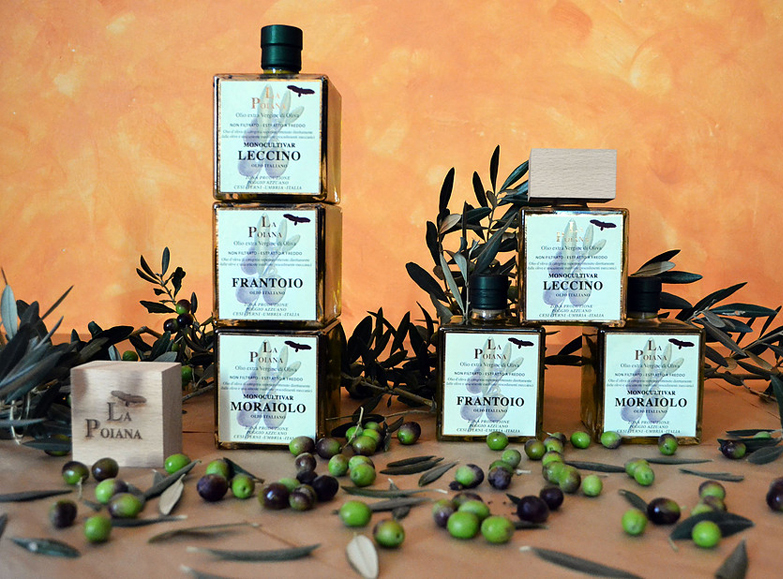 The three varieties of olives (leccino, moraiolo, and frantoio) that we use to produce our oils, derived exclusively from the olive trees of our land situated in Umbria, a region renowned for some of the finest oils. In fact, all umbrian olive production has D.O.P. 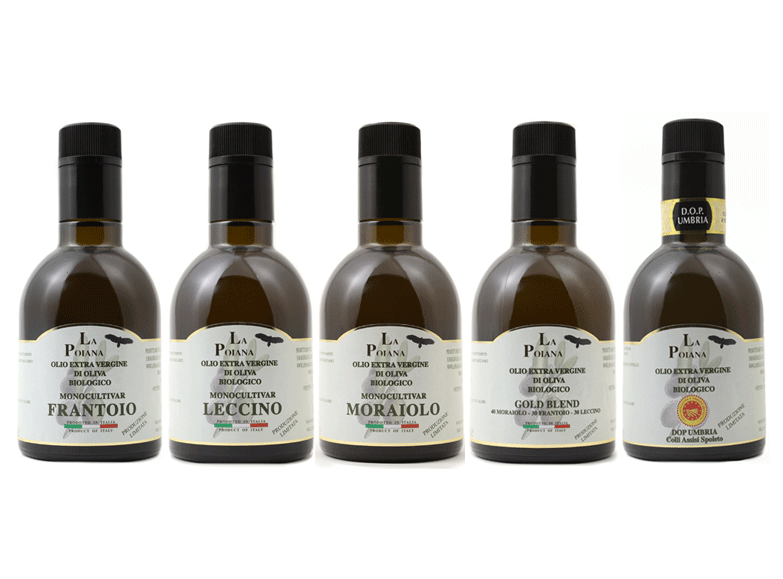 (Denominazione di Origine Protetta) which means the oil is strictly quality controlled and from the region granted the D.O.P. status.